Looking for a USED BASICTURN 2000? manufactures vertical lathes only and therefore has a significant advantage of focusing all efforts toward the production of the worlds' best vertical lathe. 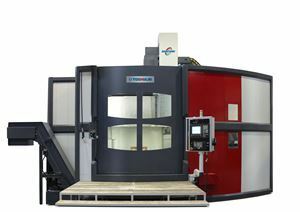 toshulin, a.s. machines have been installed in 58 countries worldwide. the company‘s goal is to continuously improve technology to meet the increasing needs of today’s customer. the company has increased its production capacity as it has steadily raised its world market share. 29 ModelsView more about Toshulin a.s. Looking to Purchase a New TOSHULIN BASICTURN 2000?